Good morning Bakersfield. It is Saturday, April 30, 2016….A good day to be a Renegade. This day 68 years ago, in 1948, the Land Rover debuted at an auto show. An incredible car designed by the British car company and owned now by Tata Motors was initially intended to be used for farm work but quickly became popular with the public. Needless to say…I love my Land Rover. It was another “normal” week at BC–with the Spring performance of our Jazz Ensemble to the One-act festival theater, Career day, High school students attending BC’s Law day, the SGA awards ceremony, baseball, track….. After being on the road for several weeks, and MIA at our athletic events it was great to catch up on baseball after completing faculty interviews late on Friday. Nan was at the track meet and we exchanged messages from different parts of the campus celebrating our students and coaches. Baseball finished the regular season in a dramatic fashion, winning 14 of their last 16 games to clinch a playoff berth. Playoff seeding will be announced on Sunday, a strong possibility we will play at home on May 6th & 7th. Thank you Coach Tim Painton. Western State Conference finals were held on the newly resurfaced track Friday afternoon with 500 student athletes vying for qualifying marks to the Southern California meet. A beautiful day with a beautiful track resulted in numerous personal best marks. Thank you Coach Pam Kelley. Softball swept a doubleheader from Antelope Valley on Tuesday to clinch a playoff berth for the fist time since 2012. There was no quit in these ladies with multiple lead changes throughout both games. Playoff seeding announced today. Thank you Coach Christie Hill. It was a treat having two members of the Board of Governors, Arnoldo Avalos and Connie Conway, visit BC on Tuesday, April 26th. Rather than doing a special series of presentations, we decided to fit their itinerary into what was happening at BC. The morning started with them attending an annual event where we connect with leaders from high school and share with them the advances made on the goals set the previous year. After that, they toured the campus and connected with faculty and students in the sciences, music, CTE etc. Thank you Joe Saldivar, Jen Garrett, Liz Rozell, Manny Gonzales, Clayton Fowler, Nicky Damania and others who helped. And the fabulous Jennifer Marden who pulled all this together. Arnoldo Avalos has been the founder and chief executive officer of the Avalos Foundation since 2013. He was head of compensation and the global compensation manager at Facebook from 2008 to 2013 and senior global compensation manager for Google from 2006 to 2008. 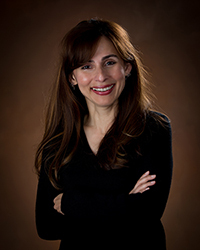 Avalos held multiple positions at Cisco Systems from 1999 to 2006, including compensation manager, corporate recruiter and manager of business operations. He was a system consultant at Andersen Consulting from 1996 to 1999 and farm manager for Avalos Farms from 1989 to 1996. Avalos is a member of the Latino Community Foundation Board of Trustees and a founding member of Hermanos Unidos. He earned a Master of Public Policy degree from the Harvard Kennedy School. Connie Conway has been a member of the California Women Lead Board of Directors since 2008. She served as a member of the California State Assembly from 2008 to 2014, where she was Minority Leader from 2010 to 2014. Conway was a member of the Tulare County Board of Supervisors from 2000 to 2008, serving as chair in 2005 and 2008. She was chair of the Cities Counties Schools Partnership in 2007 and president of the California State Association of Counties in 2006. It was a wonderful surprise to have Trustee Romeo Agbalog join us. He was able to rearrange his schedule and connect with both Avalos and Conway. I enjoyed meeting Vince Stewart, Vice Chancellor of External Affairs from the California Community College Chancellor’s Office, and hear about the great things being undertaken statewide. As many of you know, Bakersfield College has developed a Pre-law Program over the past two years. We are one of 24 of community colleges in the state of California participating in this program. This program is designed to help students matriculate more easily from Bakersfield College to a four-year university and on to a participating law school. We are happy to report that this year our first graduating class of three students has completed the recommended courses for our Pre-Law Program. Bailey Bryson, Michael Esqueda and Fernando Singh were honored at a Pre-Law celebration on Monday. We are estimating that we will have at least 15 graduates in 2017! We are so excited that members of our Advisory Council were able to attend. Thank you Steven Katz, Courtney Lewis, Mark Pafford, Bethany Peak, Brett Price, H.A. Sala, Rebecca Murillo, Roberta Tafoya, David Torres and Alekxia Torres-Stallings. On Friday, April 29th, over 200 students from local high schools packed the Indoor Theater for our annual Law Day Conference. It’s always inspiring to see so many young people enthusiastically pursuing their interests and future career goals, and choosing to visit Bakersfield College. Shortly before the event, I met Brandon Stallings, a deputy District Attorney and representing the State Bar Board of Trustees. He shared that our local rural communities suffer a real lack of attorneys, and that for our justice system to work we need dedicated students who are interested in a law career and want to stay local. To help inspire these young people and foster their career goals, local professionals were on hand to share stories and answer questions. Thank you to all attorneys and volunteers involved, especially Honorable Louie L. Vega, Adayinka Glover, Esq., Christian Zoller, Bethany Peak, Esq., Michael J Yraceburn, Esq., Honorable Steven M Katz, Esq., H.A. Sala, Esq., and Alekxia Torres-Steallings, Esq. We have great faculty and staff at Bakersfield College, like Manny Mourtzanos, our Dean of Instruction, who makes these events fun and captivating for our future students. While opening the program, Manny asked if anyone could recite the Miranda Rights by memory. Surprisingly, hands flew up and Eric Hogan from Bridges Academy was chosen to come up. Without hesitation, Eric was able to say aloud the entire Miranda Rights before a packed theater of fellow students – Well done, Eric. In fact, did you know this year marks the 50th anniversary of the 1996 Miranda vs. Arizona ruling? It’s a great day when you can learn something new. And as time has gone by, the Miranda Rights have become an icon in pop culture, as seen in some of our favorite movies, but also as an integral part of American culture. During my opening remarks I referred to the two movies that capture the creativity, sharpness, and performance abilities of a young lawyer played by Tom Cruise in both instances — The Firm and A Few Good Men. Sydney Pollack’s The Firm was done in 1991 where Cruz plays a young lawyer who joins a prestigious law with a sinister dark side and the strategy he adopts to bring them down. A year later Rob Riner has Cruise playing the lead role along with Jack Nicholson in A Few Good Men. You have got to check out this classic scene from A Few Good Men. Speaking of great faculty, it was fantastic to see Professor Douglas Grimsley, who is involved with our inmate education plan. Grimsley is one of our pioneering faculty who knows that his investment is helping folks get back into society – something that is true to the mission of Bakersfield College; Providing opportunities for students from all diverse backgrounds to engage productively in their communities and the world. As you may know, Bakersfield College is selected by the State Bar of California to participate in the Community Colleges Pathway to Law School Initiative, which provides a transfer-pathway for students to one of at least six prestigious law schools in our state. But beyond that, the law program at BC is a rigorous path that is a true investment and will sharpen any student’s critical thinking, writing skills, and leadership qualities. Steve Watkin invited me to attend the Project BEST event last Saturday, April 26th. In fact it was great seeing an entire BC gang at the table–Harlan Hunter, Reggie Bolton, Paula Parks, Christopher Anderson, Ishmael Kimbrough, and our ATEP students. On Thursday, Kristen Barnes, CEO of the Kern Community Foundation, invited us to present the Renegade Promise to a group of Educators across Kern County. The story of the Renegade Promise is a story of collaboration and partnership, a story about adaptation, a story about saying “yes” rather than “no”, a story about making this happen despite the odds. The heroes in this story are the faculty, staff and administrators from KHSD, BC and CSUB who have been laser focused on moving students through our educational pathways faster and not compromising their learning; on the contrary, enhancing their learning. Presenting along with me were Dr. Jacqueline Mimms from CSUB, Vickie Spanos from KHSD, and Lesley Bonds from BC. These three women are brilliant, beautiful, passionate and work tirelessly. Summer Bridge is an essential part of a student’s journey to becoming a college student. Throughout summer 2016, BC will engage 2,000 new students in this extended orientation where they’ll learn how to access important campus information, discuss success strategies for the transition into college, take a campus tour, and hear from important academic and student affairs support services about the many offerings available to them. Thank you Dr. Kimberly Bligh for your leadership. For more information about Summer Bridge, email bcsummerbridge@gmail.com. This week, BC hosted 60 Wasco High School future Renegades on the Panorama campus and the Delano campus for the first Bridge of the season! These attendees arrived to campus bright and early Monday morning for a campus tour led by one of our amazing Promising Professionals, Sharita Knowles, and Educational Advisor Claudio Felix. Title V Director Kimberly Bligh and Counselor Keri Kennedy led the group through success strategies and resources as they transition from high school to college. Monica Huyck at the Delano pitched in to host the students at the Delano campus on Thursday for a campus tour and review of the new facilities and support services available to our Rural Renegades. On Friday morning, the Office of Student Life and the amazing Dr. Nicky Damania held the Student Leadership and Involvement Awards Ceremony. The ceremony is intended to recognize the accomplishments of student organizations and student leaders at Bakersfield College. This annual event, offers chance for all registered student organizations and student leadership to present their achievements to the rest of the College community, and be recognized for their accomplishments. A special thank you to Trustee Romeo Agbalog for attending the event and for your powerful words that leadership is about building others up – not just building oneself up. And thank you Tom Moran for all that you do for BC. Do you see Tom signing to the left of Romeo? Before I get into the many honorees, I should first recognize a student who has been working hard to engage students and make BC a better place for future Renegades: our BCSGA President, Clayton Fowler. It has been Clayton’s advocacy for students that has catalyzed our work on a number of projects; most notably, our Renegade Promise. Stay tuned for details! Student Employee of the Year: Awarded to an outstanding student in recognition of exceptional contributions to their office or department of service during the academic year. Most Valuable Renegade (MVR): Awarded to intercollegiate student athletes who through their involvement at BC have made significant contributions to the quality of life for their fellow athletes. Renegade Spirit Award: Awarded to student leaders who bring spirit and enthusiasm to the Bakersfield College community through their involvement on campus. Service Award: Awarded to a student whose behavior embraces civic responsibility and service to the community on a campus, local, regional, national, or global level. President’s Leader of the Year Award: Awarded to student leaders with a distinguished record of extraordinary leadership, service, spirit, advocacy, and involvement within the college community. Recipients will have a history of positive and significant accomplishments resulting in major contributions that enhance the quality of life at the college. Event of the Year: Awarded to a registered student organization that sponsored an event promoting social interaction among students. The effectiveness of the planning, publicity, and execution of the event will be considered. Renegade Spirit Award (Organization): Awarded to a registered student organization that brings spirit and enthusiasm to the Bakersfield College community through their programs and activities. Outstanding Student Organization Advisor(s): Awarded to a faculty or staff member that goes above and beyond their expectations of an advisor, is an integral part of the organization, and shows dedication to the mission of the organization. Grace Van Dyke Bird Leadership Scholarship Award: Given annually to one freshman student attaining the highest standards of leadership, citizenship, service, and overall accomplishments while a student attending Bakersfield College. This award is dedicated to the first president of Bakersfield College who showed great pride and shared a great vision for education in Kern County. Alumni Association Honor Trophy Scholarship Award: Given annually to one sophomore student attaining the highest standards of leadership, citizenship, service, and overall accomplishments while a student attending Bakersfield College. Congratulations to Reggie Williams, Philosophy, for your selection as the Samuel W. McCall Outstanding Professor of the Year! Here is a picture of Trustee Agbalog with Bill Parker. Bill has been at BC for 39 years and he absolutely gives his heart and soul to the campus. We love you Bill Parker! On Tuesday, we hosted the 4th Annual President’s Breakfast. About 60 education partners (counselors and administrators) from our high school service area came to our Fireside Room for a quick and insightful update and discussion. We talked about our strides in collaboration with Guided Pathways, Dual Enrollment, Multiple Measures, and our High School Matriculation Visits. Vickie Spanos (Director of Instruction, KHSD) spoke about the Kern High School District and how the “seeds of partnership,” have been sewn with BC. Connie Conway (Board of Governors Member, CCCCO) touched on how important the role the Board of Governors has in supporting California’s Community Colleges. And Vincent Stewart (Vice Chancellor for External Relations, CCCCO) expressed his excitement at visiting Bakersfield College for the first time and getting to interact with our charismatic administrators, faculty, staff, and students. The work that we do for our students is paramount. It was so exciting to celebrate our collaboration successes this year, even as we begin the conversations about where we are headed for next year! Thank you! And here is BC’s Outreach Team. You make BC look good. Thank you! 2016 Phi Theta Kappa induction. Thank you Prof. Charles Kim for your leadership. Thank you Delano Chamber and Janet Rabanel for your generosity. It truly is a great time to be at BC. As we finish our Spring 2016 semester, I wanted to extend an invitation to our community to join us as we celebrate our students. Our Performing Arts joint music concert in the Outdoor Theater on Wednesday. May 4th at 7:00 p.m.
Our Chicano/Latino celebration will be on Thursday, May 5, at 5 pm in our beautiful Outdoor Theater. Latina icon Dolores Huerta, founder of the Dolores Huerta foundation, will be the featured speaker. The celebration will feature food, art, music and dancing. Our Black Graduates Recognition Ceremony will take place on Tuesday, May 10, at 6 pm in the Indoor Theater. We welcome the public to this free event. Our Delano campus will hold a Pre-Commencement celebration from 11:30 am – 3 pm on Friday, May 13. Food and entertainment will begin at 11:30, with a recognition ceremony beginning promptly at 12 pm. This event will be on our Delano Campus, 1450 Timmons Ave. in Delano. And of course, our 102nd Bakersfield College Commencement will be held on Friday, May 13 at Memorial Stadium. Gates open at 5:30 pm, and the ceremony will begin at 7. We will conclude with a spectacular fireworks display. Don’t miss it! Each time I read about all of the ways our Bakersfield College students, faculty, staff and administrators make contributions to the college and greater communities we serve I am astounded. Bravo to our many leaders and stalwart supporters who keep our college humming. It is a good time to be at BC.